Combine the marinade ingredients and immerse the tentacles: leave to marinate for 3 hours. Simmer the fava beans with the rest of the ingredients, stirring from time to time, until the beans are softened. Blend to a thick purée and taste for seasoning, adding salt and pepper if needed. When ready, take the octopus from the marinade and grill to obtain a nice crisp char on the meat. 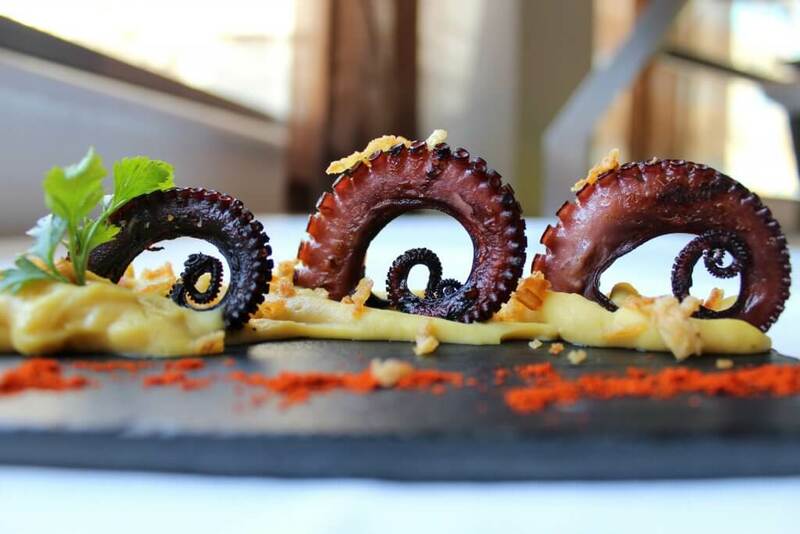 Arrange the fava bean purée on the plate with grilled octopus placed on top. Drizzle with extra virgin olive oil and lemon juice for additional flavour.